This property is newly renovated on a quiet street, very clean and quite comfortable for a short stay. Nice, clean and comfortable appartment. The pictures on the website are real! Good quiet location at the outside of the city, at about 200m of the strassenbahn. Great apartment, very clean, confortable and well equiped and also has a great skyline view from both balconies! 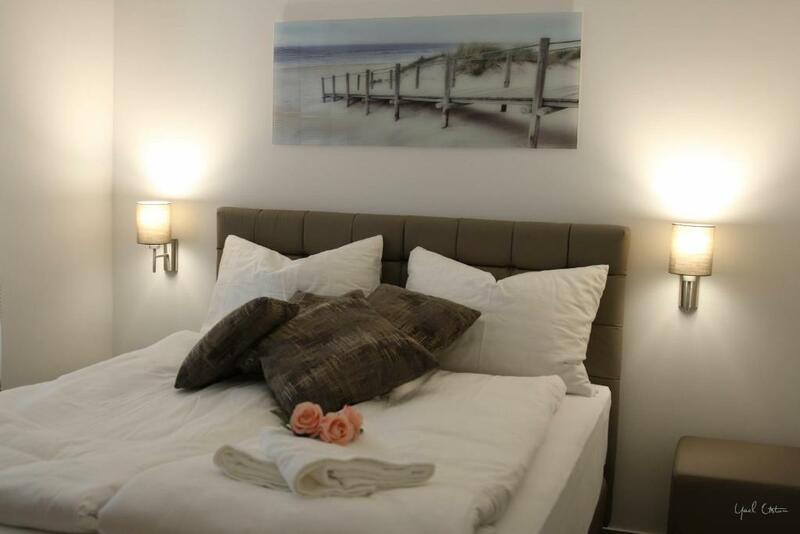 The building is close to tram stations, markets, a couple of good restaurants and parking. 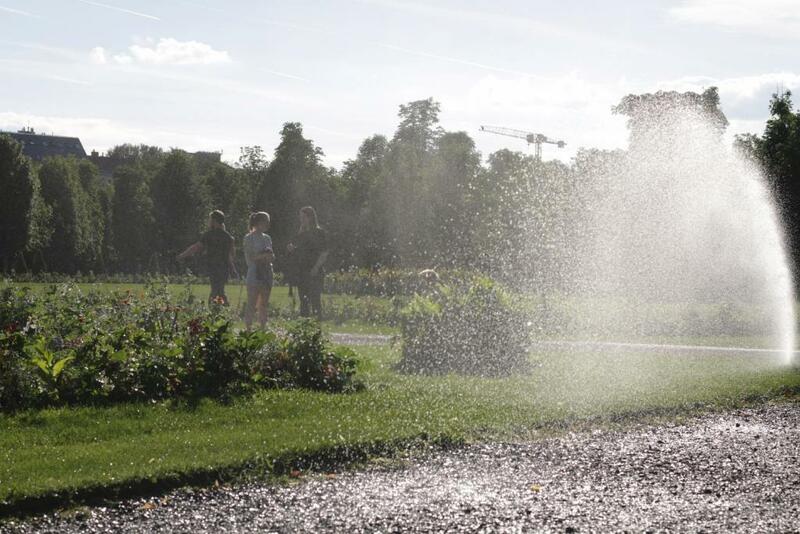 The proximity to the Augarten park is great for families traveling with kids. Great place, would stay there again! 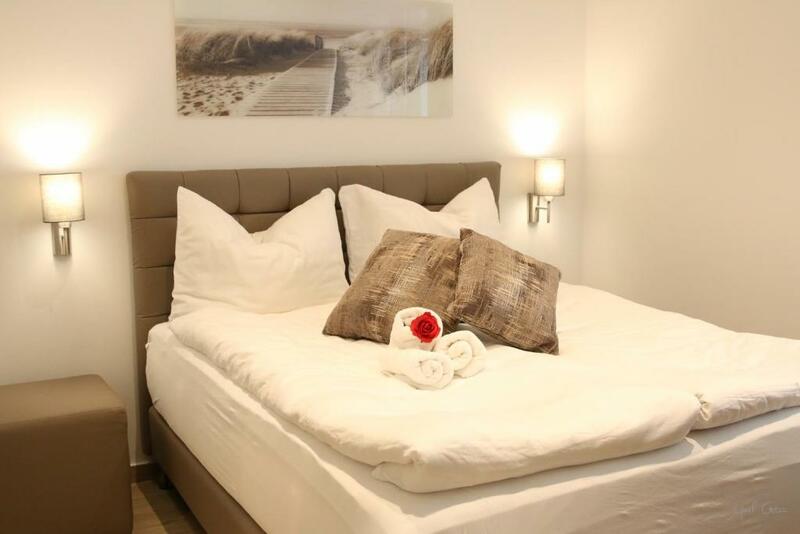 Cosy apartment with fully equipped kitchen and very comfortable bed. There is a tram stop nearby so in 20-25 minutes you can reach the city center. The supermarket "Hofen" in 100m. Apartment is cozy, in calm area of the city. Near to several public transport stations. Absolutely perfect. Convenient location, very clean and very well facilitated. You can find everything you need like at home (from iron to coffee machine). Fast Wi-Fi, very good for work. 5 min from the apartment there is the most interesting and very cosy restaurant with delicious food. Tram and train station close. The apartment is as described in the pictures. Public transports are near, about 300 meters to find the tram 5. From the apartment to the center it would take about 20 minutes using tram and underground. The apartment is fully equipped and very comfortable. We enjoyed a lot our stay. Lock in a great price for Nadland Apartment Kunzgasse – rated 8.9 by recent guests! 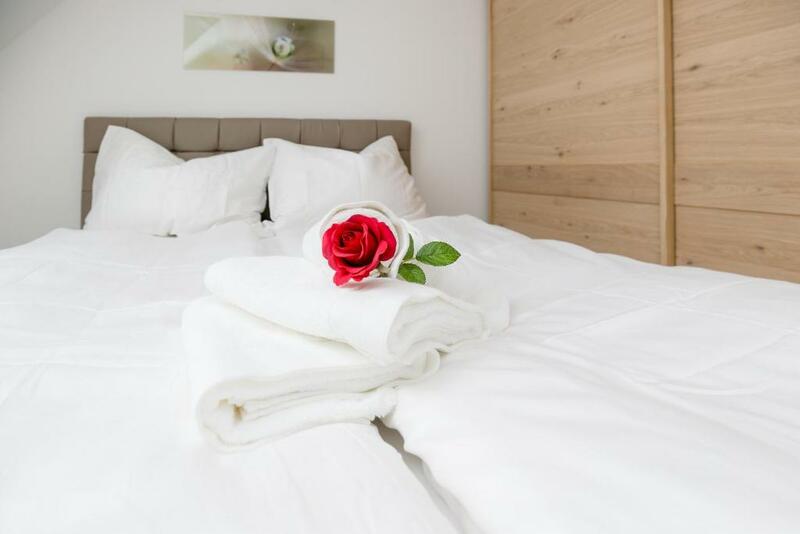 One of our top picks in Vienna.Nadland Apartment Kunzgasse has a terrace, as well as accommodations with a kitchen in Vienna. Complimentary WiFi is available. The apartment offers a seating area with a flat-screen TV and a private bathroom with a hair dryer and shower. There's also a dishwasher, oven and a coffee machine. Vienna Prater Amusement Park is 1.4 miles from Nadland Apartment Kunzgasse, while Kunst Haus Wien - Museum Hundertwasser is 1.5 miles away. The nearest airport is Schwechat Airport, 12 miles from the property. 20. 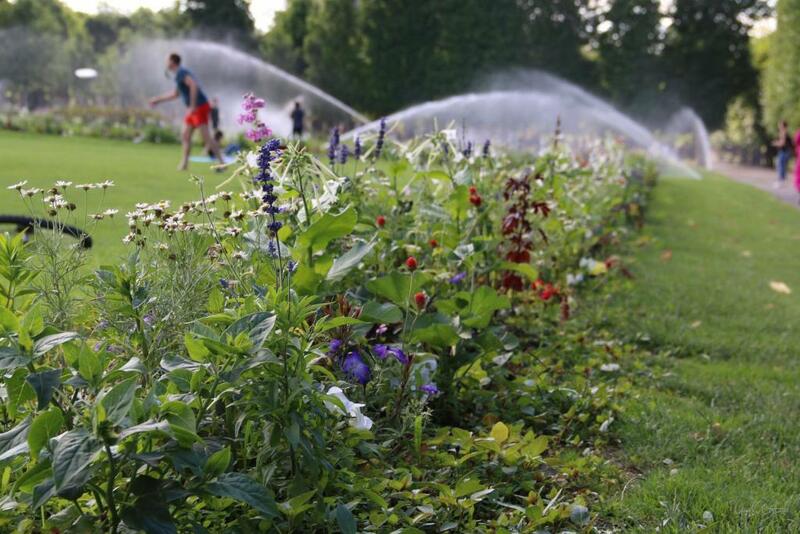 Brigittenau is a great choice for travelers interested in city walks, convenient public transportation and old-town exploration. 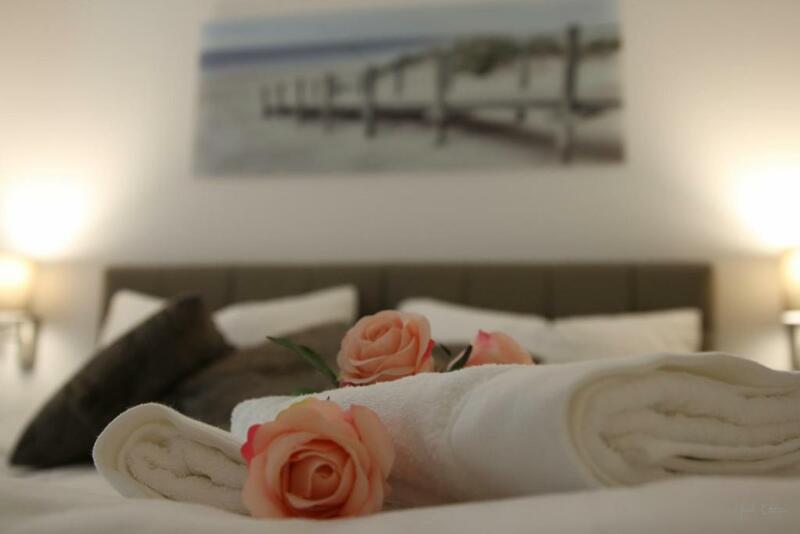 When would you like to stay at Nadland Apartment Kunzgasse? This apartment has air conditioning, stovetop and sofa. This apartment features a dining area, tile/marble floor and view. This apartment has a sofa, kitchenware and dishwasher. This apartment features a dishwasher, private entrance and toaster. Unser Luxus Apartments sind mit Modernste Ausstattung für die Küche, Orthopädische Matratzen, TV in jede Zimmer, Bodenheizung in alle Wohnungen und Klimaanlage in manche Wohnungen. in alle Wohnungen finden Sie auch Waschmaschine, Bügeleisen und Bügelbrett. 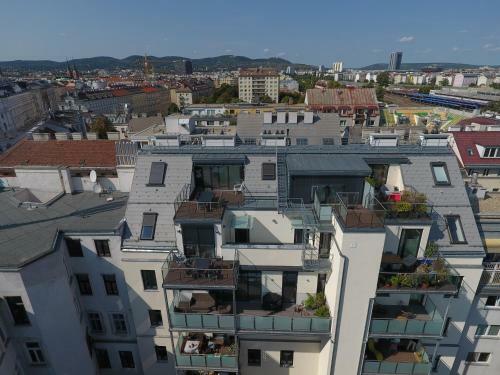 House Rules Nadland Apartment Kunzgasse takes special requests – add in the next step! Nadland Apartment Kunzgasse accepts these cards and reserves the right to temporarily hold an amount prior to arrival. Please inform Nadland Apartment Kunzgasse of your expected arrival time in advance. You can use the Special Requests box when booking, or contact the property directly using the contact details in your confirmation. Meeting the owner upon arrival could help in understanding the neighbouhood, means of transportation, how to collect the key (I wasn't sure), or maybe ask for extra toilet paper. This is something which can make you feel more comfortable as a tourist in a foreign country. Very clean, modern, and quiet appartment. Apartment was very cold, no instructions on how to warm it up. Location was very inconvenient. No complimentary coffee or tea was available. No English channels only German. Sometimes the WiFi was not active. Nice modern apartment. Comfy bed. You can do laundry and iron (washing machine is available). Kitchen equipped with tableware and some cookware, dishwasher, sponge+dishwash.liquid also provided. Located in 5-7 min walk from tram lines 2,5 which take you to historical center (approx 25 min) and easy connection to airport train via Praterstern. Walking distance to groceries. Good communication with property manager, provided clear instructions for key pickup prior arrival. Thank you! Smaller than expected. Pictures not very accurate for the ground floor. Maybe the upper floors are as in the picture but the ground floor appartment was much smaller. Never met the host although he did call us on the phone to check everything is ok. In the property there is a nespresso coffee machine but there is neither coffee capsule nor sugar. For people on the road and not familiar with the city, it would be very nice to provide a few free coffee to start with. Nothing, but more tissues and paper roll would be great. The apartment was spacious and clean, it was a great apartment and the owner was very helpful many thanks to her. Felt like at home, didn't want to leave.